Marijuana can be an effective medicine in some cases for treating pain, nausea, muscle spasms and other conditions, but the drug that is wafting into the mainstream is not harmless, and more research is needed, the nation’s top scientists concluded in a landmark report released Thursday. 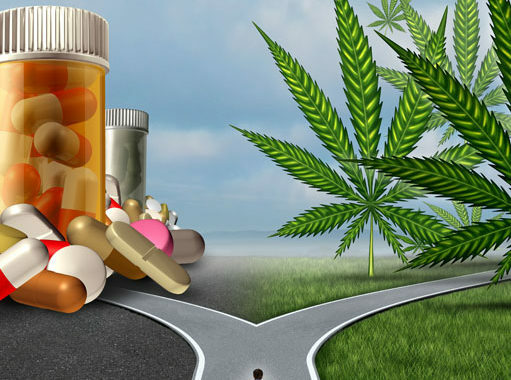 The nonprofit National Academies of Sciences, Engineering and Medicine issued its report, “The Health Effects of Cannabis and Cannabinoids,” summarizing the body of research into the efficacy of medical pot. The 395-page paper stands as the most official medical review of the botanical drug, which an estimated 8 percent of American adults used in the past month. Chief among the findings, researchers criticized the U.S. government’s continued listing of marijuana as a “Schedule 1” drug, meaning it has no established medical use and a high potential for abuse. Pot ranks above prescription opioids, such as Vicodin and OxyContin, that were linked to more than 180,000 deaths from 1999 to 2015. 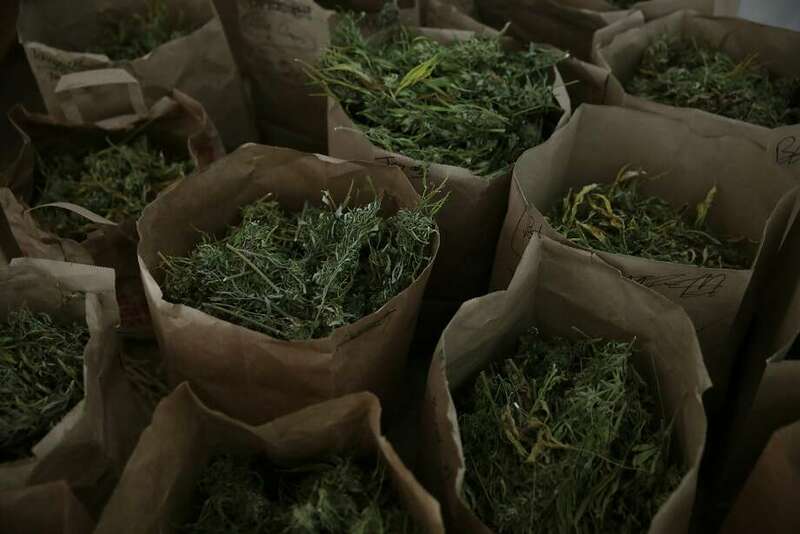 Broken down marijuana plants sit in bags before being trimmed at Tim Blake’s farm Laytonville California, Friday, November 13, 2015. The National Academies commissioned the review of research in reaction to the swift expansion of medical and adult-use pot laws in America. Twenty-eight states and Washington, D.C., have legalized medical pot, and eight states and Washington, D.C., have legalized recreational use. “The growing acceptance, accessibility, and use of cannabis raise important public health concerns and there is a clear need to establish what is known and what needs to be known about the health effects of cannabis use,” the report stated. The review involved 16 experts, including UCSF oncologist Dr. Donald Abrams, and was paid for by federal, state, philanthropic and nongovernmental organizations. The committee considered more than 10,700 published studies and arrived at nearly 100 research conclusions, among them that marijuana can help certain patients who use it. Parts of the report undermine critics of legalization. It found cannabis can in some cases treat chronic pain, the nausea and vomiting associated with cancer treatment, muscle spasms associated with multiple sclerosis, and sleep disturbances. Unlike with legal tobacco or alcohol, studies show cannabis does not cause lung, head or neck cancer, the report found. However, the report also diminishes some claims of pot advocates, finding, for instance, that there is not sufficient evidence that cannabis or its compounds can treat cancer, epilepsy or schizophrenia. The study found “limited evidence” of a link between heavy cannabis smoking and a highly curable type of testicular cancer. There is also “limited evidence” of a link between pot smoking and heart attack or stroke. Some opponents of broader access to marijuana celebrated the report, including Kevin Sabet, director of the antilegalization group Project Smart Approaches to Marijuana. Cannabis is a mixed bag, in many respects. Maternal cannabis smoking could be linked to lower birth weight, the review found, but there is little evidence it causes pregnancy complications or later negative outcomes in offspring. The report buttresses calls for age restrictions on cannabis use, such as those in place in California, as scientists are fairly certain that teens who smoke weed increase their risk of developing “problem cannabis use” — defined as use that negatively affects school, work or relationships or is difficult to stop. Pot also might be a gateway drug to tobacco, alcohol or other drug use, the report said, but there is limited evidence and it’s not clear whether marijuana use is the cause or merely correlated. The report is likely to increase pressure on lawmakers to reschedule marijuana. Arizona physician Dr. Sue Sisley, who has tried for years to gain federal approval to study cannabis as a treatment for post-traumatic stress disorder in humans, said it was “unsurprising” the National Academies did not find evidence cannabis can treat cancer or epilepsy. “The federal government has systematically impeded efficacy studies,” she said. While more intensive research must be done, the report refutes critics’ claim that there’s no current basis to legalize weed, said Paul Armentano, deputy director of the National Organization for the Reform of Marijuana Laws. The National Academies of Sciences, Engineering and Medicine issued a review of research on marijuana, summarizing findings from more than 10,000 published studies. Find the report at: www.nap.edu/read/24625. Cannabis can in some cases treat chronic pain, nausea, muscle spasms associated with multiple sclerosis, and sleep disturbances. The molecule cannabidiol can treat social anxiety disorder. Marijuana does not increase risk for head, neck or lung cancer. Cannabis improves airway dynamics and lung volume with acute use. Pot probably treats traumatic brain injury. Teens who use marijuana are at risk for developing “problem cannabis use” later in life. Pot use prior to driving increases the risk of being in a collision. There is a potential link between heavy cannabis use and psychoses, but causation has not been proved. Smoking marijuana during pregnancy may be linked to lower birth weight. Long-term pot smoking is associated with more frequent bronchitis.